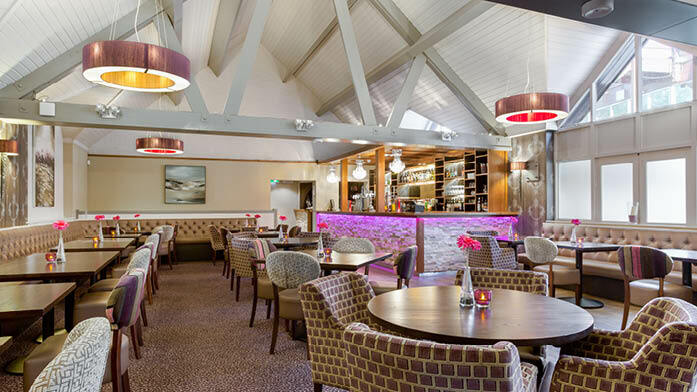 The Amber Bar and Restaurant at Cromer Country Club offers a warm and friendly welcome. Our head chef and his team take pride in providing a varied menu using local produce for you and your family to enjoy. Should you have specific dietary requirements, the team will always aim to meet these whenever possible. To complement the food, there is an extensive range of alcoholic and non-alcoholic beverages as well as carefully selected wines for your enjoyment. Food and snacks are available to take away. In addition to the extensive daily menu, you can enjoy regular themed evenings, all at a very special set price. Wake up and start your day in the most nutritious way with our Good Morning Packs delivered to your apartment. Whether early birds or sleepy heads, our breakfast packs are sure to keep the whole family sunny side up all day long! Please order in advance. Local supermarkets are just 0.5 miles away in Cromer Centre.